There are two constants in life. The first is that Seattle drivers will always be awful and the second is that people love lists. David Letterman does it, there are websites dedicated to it, and American sports fans crave it. It's a way of life here. So to feed your need for lists, I'll be starting up a new series called "Top 5". The Top 5 will be a list of what I personally consider to be the most important aspects to a certain topic. I'll be straying a bit from the more objective, evidence-driven blogs for a bit and giving you a heavy dose of subjective content that you'll most likely disagree with. I'm kind of cheating here as this is more of a category then an actual fracture. This category is an entire talk/lecture/blog of its own but the take home point here is that whenever you have a child with a fracture, you should hone your inner spidey sense. The history is really where it's at as you'll want to take into account whether the child is ambulatory yet and whether the mechanism truly fits the fracture. For instance, a child who can't walk won't be likely to have a femoral fracture. Also, it's important to remember that if there is any suspicion of fracture, ordering a bone scan can help differentiate accidental vs non-accidental fractures (i.e. if you find a skull fracture after a rib fracture). Here are some of the most classic fractures of abuse. Rib fractures: Kid's ribs, just like all of their bones, are more flexible than adults. Unlike your geriatric patients, it takes a lot to cause a rib fracture. Without any history of serious trauma (MVA), it's highly unlikely for a child to have a rib fracture. One meta-analysis found a predictive probability of child abuse in pediatric rib fractures was 71%. Also, it's much more predictive of possible abuse if there are multiple fractures in a row - when hands are placed on the ribs the fractures are seen where the thumbs overlay. Metaphyseal Corner fracture (MCF) or "Bucket Handle" fracture: Probably the most classic fracture of child abuse. MCF's are typically seen when limbs are pulled or twisted with force. Like with many pediatric fractures, it is highly suspicious of a child has a MCF when they are non-ambulatory. 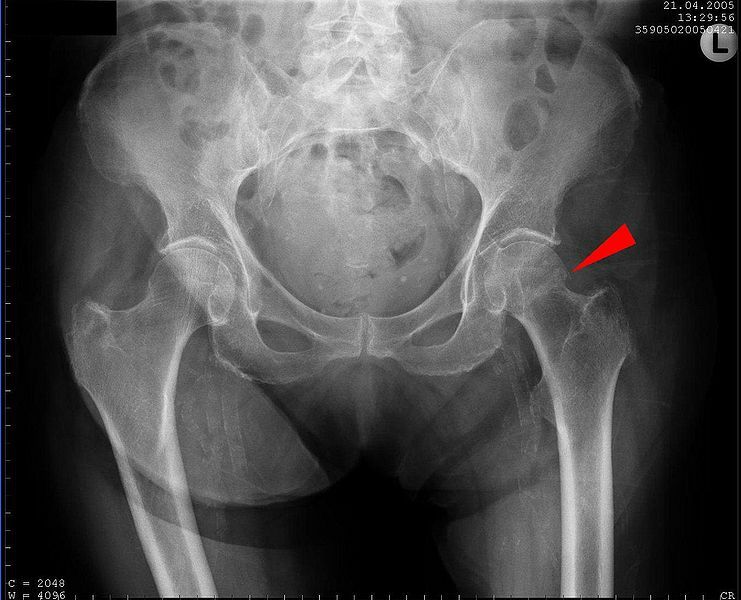 It's important to remember that these are often asymptomatic unless there is significant displacement of the fracture. Skull fractures: This is especially concerning in younger children (<2 years old), skull fractures are seen frequently in abused children but they aren't necessarily that specific for non-accidental trauma. Again, history is your friend here as asking about the mechanism of injury (height, surface, area of head landed on) will all help correlate the radiological findings. As a general rule of thumb, I found that a fall from less than 2 feet is highly unlikely to cause more than a linear skull fracture. More suspicious skull fracture findings include crossing suture lines, bilateral, branching and depressed. The name of the game here is proper diagnosis, which entails a good history of mechanism of injury as well as a good exam (ecchymosis in the surrounding area, pain on palpation, vaginal/rectal exam for open fracture, and compression of the pelvis). External compression isn't something I have a ton of experience with but this very serious and professional looking trauma doc has a nice blog entry on it. Basically, compress AP compression type fractures and not lateral or vertical fractures. Take a look at the video below on proper sheeting technique. Although, it's not completely accurate because a lot of your trauma patients will have their pants cut through so you wouldn't be able to tuck the sheet into them..
Five dollars for the first person who can tell me what the above is referencing. Jones fractures aren’t deadly but I couldn't resist using that quote. However, they are often unseen. Jones fractures probably wouldn't make many people's Top 5 but the reason I threw it in here was because we just see so many ankle injuries as primary care physicians. The Ottawa ankle rules are in place to avoid unnecessary xrays, but also to help reinforce the important areas to look for in the foot. The 5th metatarsal is one of the imaging indications mainly to look at a Jones vs. a fifth metatarsal tuberosity fracture. The difference, albeit small, is important as the management can differ. Most non-displaced metatarsal tuberosity fractures can heal with conservative management but Jones fractures have a much lower likelihood of healing without surgical intervention. They can be very difficult to distinguish so getting some input from a radiologist or your favorite podiatrist (whattup Dr. Hale) can be helpful. When discussing treatment options, it’s important to note that up to 50% of acute Jones fractures will result in nonunion and that surgery has a much higher rate of symptom and fracture resolution long term. However, this all depends on your patient and their clinical and personal context. For more on Jones fractures, check out this very nice AFP article found here. Scaphoid fractures are pretty much in the same category as Jones fractures. We don’t see a ton of them but we do have a lot of patients who fall onto outstretched hands. I like to think of myself when it comes to scaphoid fractures because the primary demographic is males aged 15-30 and I swear I had/have one myself. Every physician has their own specific sector of hypochodrisis and mine is this pain I have in my left wrist. I fell on my outstretched hand playing flag football a number of years ago and had quite a bit of pain at the time. I never thought much of it until this past 6 months where I had the recurrence of that pain but this time with no known trauma. Better with rest. Worst with working out, especially push ups and pull ups. I swear there was either nonunion or growing OA in that wrist. Anyways, my little clinical vignette, albeit unlikely a fracture, shows the importance of proper diagnosis of the scaphoid fracture because if you miss it, it can result in nonunion or delayed union. Pain in the anatomical snuffbox is remarkably sensitive (~90%) but not very specific (40%). Xrays are even worse with reported sensitivity of 86%. For those grey areas when you suspect a fracture but don’t see one, this great AFP article recommends placing patients in a thumb spica and reevaluating in 2 weeks. Just remember me the next time your patient comes in with traumatic wrist pain! Finishing strong with the fracture, I for one, see the most often: the hip fracture. With the US population aging at a rapid rate, you’ll undoubtedly have the pleasure of diagnosing many more of these in the future. We don’t want to miss hip fractures for a variety of reasons. It gives a window into the prognostic future of the patient with one year mortality rates up to 20% and roughly 50% of those who lived independently prior to the hip fracture are unable to gain an independent lifestyle again. With delayed diagnosis, it just gets worse as not only does adequate treatment get postponed but the frequency of of avascular necrosis or other complications increase. But really, the emphasis should be placed on fall prevention to begin with. Which I’m proud to say my colleagues in residency do very well. Shout out to SFH residents.